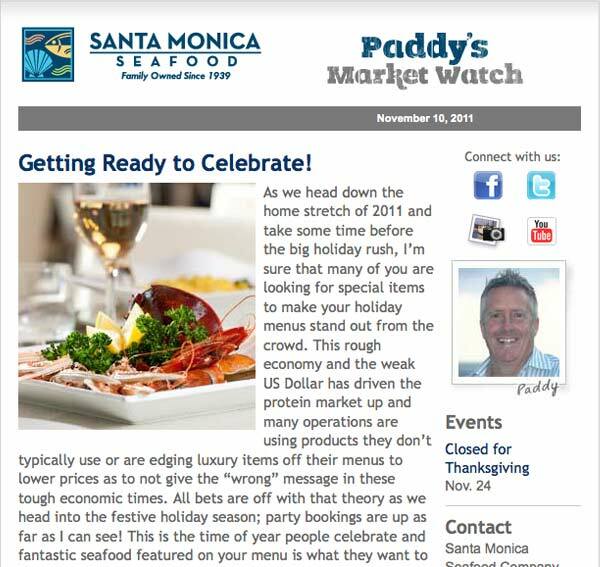 The Challenge: Monthly product alerts delivered with humor by a working chef have made Paddy’s Market Watch one of Santa Monica Seafood’s primary customer publications, with an engaged customer list and long history as a printed flyer. After emailing versions of the flyers for years using legacy tools, the client needed a more flexible email marketing system. The Solution: Evolution Design created a simple email design including a simple masthead with a bold masculine font and wood-grain texture. A simple and clean two-column layout was selected. 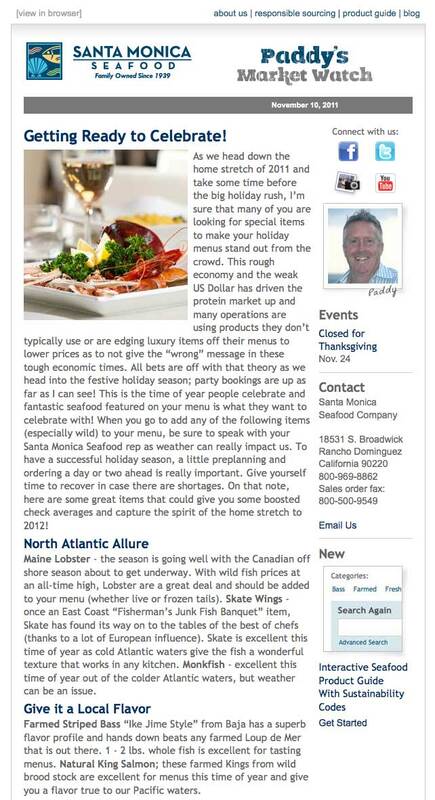 A second email template was created to support more generic communications. We helped select an email provider, set up the campaigns and lists, trained internal staff, and provided analytics analysis and recommendations on raising email open rates.